Girl power around the globe. Gift to the it-girl in your life - the one who likes to shake things up. 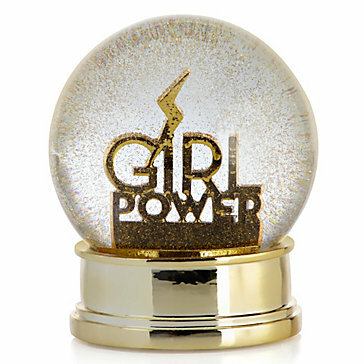 This snow globe features a gold GIRL POWER plague and matchy-matchy glittering flurries.